Derek Aldridge has earned a Bachelor of Science and a Master of Arts degree from the University of Victoria. Prior to working as a consulting economist at Economica, Derek worked with the Government of British Columbia’s Ministry of Finance, and as a research assistant at the University of Victoria. He has worked for Economica since 1995. In addition to writing reports, he has developed several spreadsheet applications which are used in many of our day-to-day calculations. 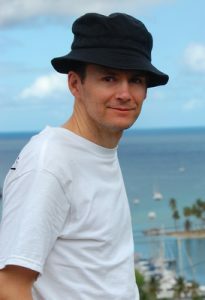 Derek has also made use of his interests and experience with computers and the Internet to develop and maintain our Web site. His interests outside of Economica include listening to music, following news and politics, watching movies, playing hockey, downhill and cross-country skiing (though not often, unfortunately), and playing with his two children.